Home » Collection » "3620 W. Kilbourn, Apt. 27"
"3620 W. Kilbourn, Apt. 27"
On recto, center right, printed in purple ink: DEC . 58 . 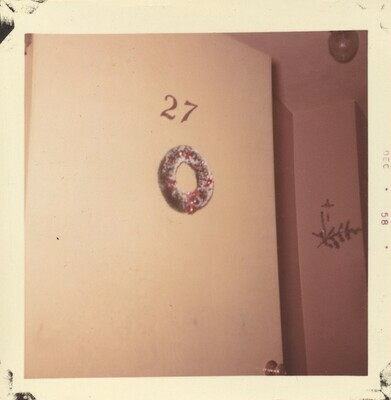 On verso, upper center in graphite: wreath on our door; center left in blue ink: 3620 W. KILBOURN, APT.27. Robert E. Jackson, Seattle; gift to NGA, 2007.